Former No. 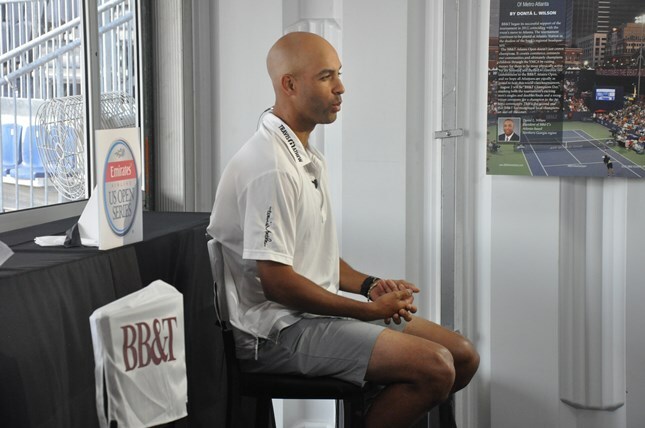 4 James Blake took to the BB&T Suites Monday morning to speak with national media outlets on questions ranging from if he will come out of retirement to who he thinks will win the U.S. Open. Of course Blake was asked the infamous question: “Why is the top of the rankings lacking American players?” Blake’s answer might surprise you. The Yonkers, NY native has a point. The amount of young talent rising is plentiful and time is the true test. It just may be a few years before we see the next McEnroe or Sampras. Aside from giving his opinions on American tennis, Blake was able to talk about his work as chairman of the USTA Foundation. Appointed to the role back in February, Blake has been very involved in helping kids combine tennis and education. Blake believes education is extremely important and is a big factor as to how he made to where he is today. The former Harvard star may be done playing the sport professionally, but he still loves the game he used to dominate. Blake will take on Andy Roddick in a Men’s Legends Event exhibition August 27th at the Connecticut Open.